Perhaps your husband contracted Hepatitis C after being transfused with infected blood during an operation? Maybe you were struck down with Legionnaire’s Disease after breathing contaminated air? Or maybe your frail mother contracted C Difficile while in hospital? Whatever the cause, if you or someone you love has suffered illness as a result of a negligently transmitted infection, you could be entitled to claim compensation. If you are looking for advice, it always helps to speak to someone who knows the issues and the implications involved. In the case of an infection-related personal injury claim, you need to speak to a specialist lawyer - someone with the experience to achieve the best result for you, in the quickest possible time. Thompsons Solicitors is an award-winning personal injury law firm, with extensive experience in dealing with all kinds of injuries and illnesses. We are rated number one by legal directory “Legal 500” and have an excellent success rate, recovering over £1 million every week for our clients. If you are thinking about making a compensation claim for a negligently transmitted infection, give us a call on 0800 0891 331. 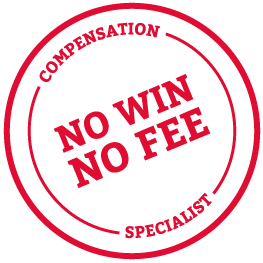 One of our specialist personal injury lawyers will be happy to talk things through with you, free of charge and with no obligation.